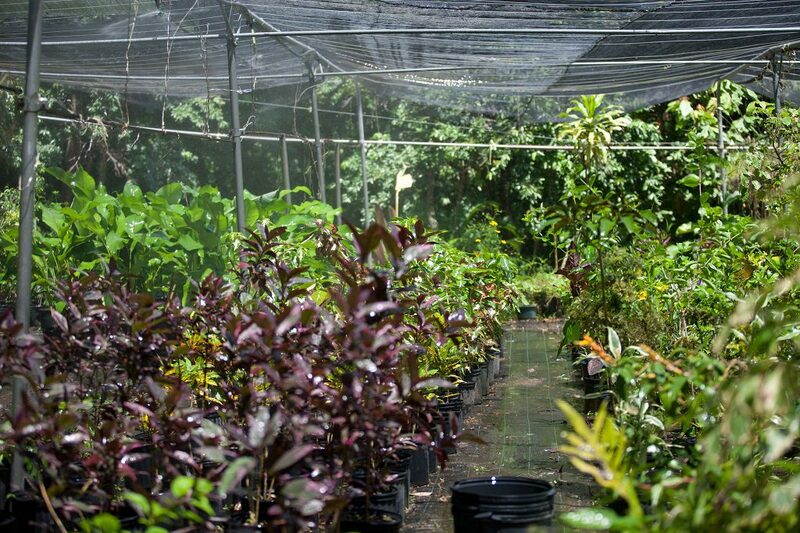 Saint Lucia resorts Anse Chastanet and Jade Mountain have been recognized over the years for their efforts to locally grow its own organic produce. It all began when resort owners, Nick and Karolin Troubetzkoy, always tirelessly seeking to improve the total holiday experience for his guests, acquired historic Emerald Estate about 20 years ago. The estate had essentially been abandoned for decades. Under the Troubetzkoys’ ownership, the estate was transformed almost instantly, the first most important step being the creation of an intricate water system that brought the soil to life. 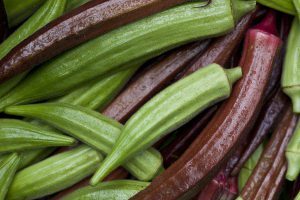 Initially, vegetables and herbs commonly grown seasonally in the area were planted but it soon became clear that this was only the beginning and the potential for the farm was vast and other varieties were tried and the physical resources and amount of cultivated land were expanded. To continue the development of Emerald Estate, Troubetzkoy recognized the need for an estate manager with the expertise and experience to guide the operation forward. After an extensive search, in June 2014, the resort brought in Pawan Srivastava, PhD, and quickly recognized they had finally found the right person for the job. As a young man, Pawan ventured from his native India to earn his doctorate in Horticulture from The Ohio State University and then moved on to Purdue University as a research scientist specializing in post-harvest and propagation. Pawan’s skill and proficiency in these areas quickly proved invaluable at Emerald Estate as production was quickly improved in quality, quantity and variety. Under Pawan’s leadership, new greenhouses and cultivated plots appeared and production increased steadily. The Emerald Estate farm now supplies nearly half of all of the resorts’ produce needs, all of which is of high quality, certified organic and delivered fresh to the resort kitchens the same day it is picked. 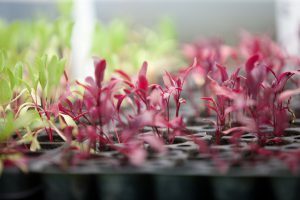 Pawan also began working in close consultation with the resorts’ Executive Chef, planning in advance what to grow and using only organic seeds certified by the U.S. government or his own skillfully produced seedlings from proven varieties. Kale, artichokes, asparagus, broccoli, and collard greens are now being grown, all of which were previously only available by import. Pawan has also instituted terrace cropping at Emerald. Another of the estate’s dramatic success stories is the growth and production of some of the finest chocolate in the world sold exclusively at the resorts under the brand name Emerald Estate Chocolate. The cocoa is grown and processed at the Emerald farm then produced at the resorts’ very own Chocolate Lab. Responding to demand, Pawan has been producing and planting cocoa seedlings -one of the many impressive specialties on his resume- on the farm and at the resorts’ Anse Mamin Plantation grounds. As the Emerald farm output increases, a variety of other items are being grown, such as all of the ornamental plants used in the landscaping at the resort and cut flowers for a variety of decorative uses. Pawan has also initiated orchid production on a major scale. Premium varieties of mangoes, not locally grown before, have been planted such as Tommy Atkins, Graham, and Cabishe. Spice production has been dramatically expanded with varieties such as clove, nutmeg and cinnamon. A major project to raise honey bees at the estate is also underway. Pawan has also created a Mushroom Shed facility, which is one of the first on the island. To the delight of resort chefs, and guests, several premium varieties are being grown. Pawan has been assisting local farmers by providing expert assistance and advice to enhance their production. 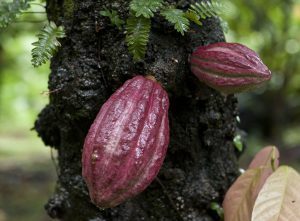 With his guidance many farmers are now producing fruits, vegetable and cocoa of a quality that is being purchased by many island resorts, dramatically enhancing the standard of living for many in the area. Guests staying at Anse Chastanet and Jade Mountain can truly appreciate the efforts of Pawan Srivastava as virtually all of the dining experience they enjoy would feature fresh quality ingredients from the Emerald Estate farm. To fully appreciate the efforts of Pawan and his very experienced local staff, the resort offers a number of excursions to Emerald Estate to view first-hand the production of the great variety of quality organic products. Pawan himself is delighted to speak with guests and share his knowledge. As Anse Chastanet and Jade Mountain continue year after year to be heralded as among the very best resorts in the Caribbean region, clearly Pawan Srivastava is a key team member dedicated to continuing this success.